Pardon my horrific campy spelling of cruising but after the deal I scored and the lesson I just learned at Krogers I couldn’t resist. If you’ve ever shoped Krogers buy 5 save $5 sale, you might have noticed that after each participating item the screen will show >+. That little symbol is the key to unlocking extra savings. Often at Krogers they discount items with large stickers on them indicating they’re on sale. Those stickers do not exempt them from promotions already associated with the product. I was lucky enough to stumble upon the deal of a lifetime on Kids Zone Bars. 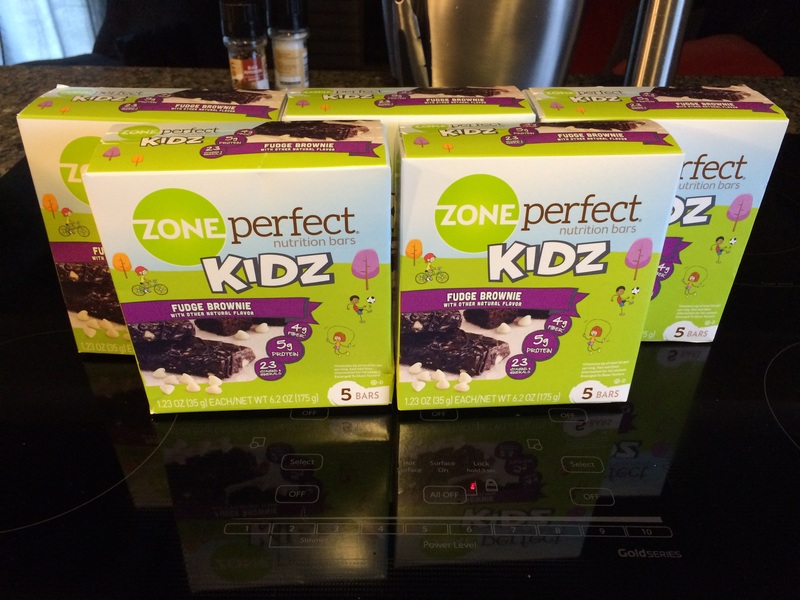 They were already marked down to $1.49 which on its own is a great deal, however zone bars were included in the buy 5 save $5, so after that deduction each box came down to $0.49! I about died from shock at the register and proceeded to buy out the entire stock of them. That makes each bar less than 10 cents, which as far as protein bars go is a steal!. At Target these boxes retail for $4.00, and I have to say the Fudge Brownie are delicious. They’re my go to snack when I’m on the go and looking for something sweet yet still nutritious. Next Post Stop, It’s Mommy Time!